The 4th International HLS & CYBER Conference is a biennial event that combines a comprehensive exhibition of the most recent technological advancements and the latest developments with the presence of and insights by some of the leading international experts in the field and one-on-one meetings with high-level executives from the most reputable security firms in the world. 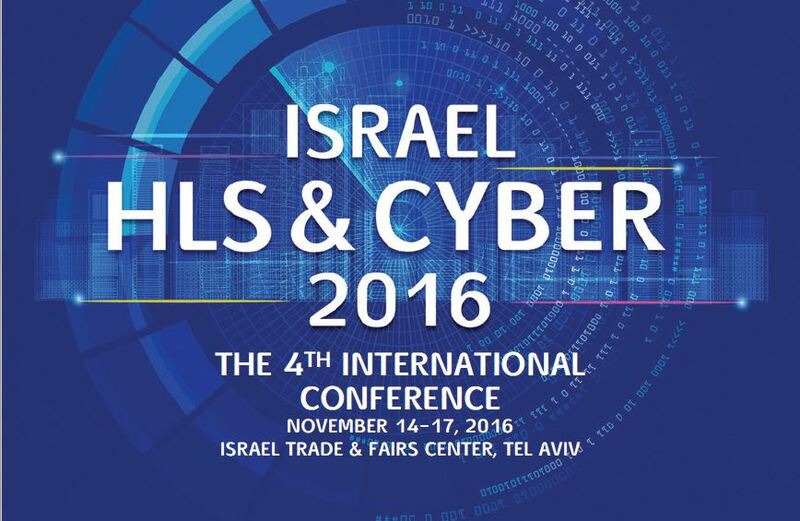 Don’t miss the opportunity to meet industry leaders and government officials, from Israel and around the world, who will share their expertise and operational experience in handling security challenges, all the while discovering Israel’s latest technological solutions on the market at the 4th International HLS & CYBER Conference in Tel Aviv, Israel, November 14 - 17, 2016. In the field of HLS & Cyber, the Israeli industry provides an extensive array of outstanding and innovative technologies specifically designed to counter a variety of threats in an ever-changing world. Since the dawn of civilization, leaders, governments, and enterprises have undertaken to ensure the security of their citizens and business activities. The increasingly complex and fast-paced realities of our modern society and lifestyle are critically important factors of the constantly-evolving challenges we face in protecting the public and securing cyberspace. This multi-sector responsibility concerns every aspect of our daily lives, from infrastructure, health and finance to communications, transportation and the business world. Where physical and cyber security intersect, governmental decision-makers and corporate executives are tasked with examining and implementing reactive, efficient, and cost-effective solutions. Out of these decisions, new opportunities will emerge.